Wolfhart Pannenberg (October 2, 1928—September 4, 2014), unlike Barth, Bultmann, Bonhoeffer, and Gollwitzer, was not a dialectical theologian. Some have referred to him as a Heilsgeschichte, or salvation-history, theologian, though this is not accurate. Others have referred to him as a neo-Hegelian, though this also seems a poor fit. So where does he fit? Shortly thereafter, he underwent what he referred to as his ‘intellectual conversion’ as he tried to make sense of this intense religious experience. Studying theology at university, he came to the conclusion that the Christian religion made the most sense of reality and was the most internally coherent option. His studies took him to Humboldt University, the University of Göttingen, the University of Basel, and Ruprecht-Karl University in Heidelberg. He wrote his dissertation on John Duns Scotus and predestination under Edmund Schlink, and he wrote his habilitation on the medieval principle of analogy, both of which he wrote while in Heidelberg, Pannenberg would meet two other theologians that proved influential on his work: Karl Löwith and Gerhard von Rad. The latter was especially influential on Pannenberg’s understanding of the relationship between history and the biblical kerygma. Pannenberg studied theology under Karl Barth while at Basel. He was fascinated with the works of the theological giant, though he later would part paths with his professor’s teaching. The two agreed that knowledge of God is only possible should he choose to reveal himself. Both emphasized the freedom of God and the necessity and priority of revelation in theological epistemology. They disagreed, however, on the locus of revelation, which led to radically different theological projects. Barth, on the one hand, argued that revelation was an existential divine encounter in which God makes himself known to the individual. Pannenberg, on the other hand, argued that universal history (Geschichte) itself was God’s revelation. God reveals himself not in a divine encounter but in the events of history. This is not the same event that Barth discusses. Barth’s event is more of an existential encounter, whereas Pannenberg means historical events, such as the exodus from Egypt. The Israelites inferred that God was revealing himself through their departure from Egypt. As such, God’s self-revelation is always indirect. The theological task, therefore, cannot be separated from the historical task. This stress on revelation as history led Pannenberg to ardently defend the historicity of the bodily resurrection of Jesus. He argued that apart from this historical event, Christianity has no foundation on which to stand. All knowledge of God, as a result, must begin with the historical inquiry into Jesus of Nazareth. The historical Jesus proclaimed the immanence of the irruption of the Kingdom of God, and the earliest Christians claimed that this had happened in the incarnation and resurrection. For all the emphasis that Pannenberg puts on history, he also prioritizes the future (or eschatology). Pannenberg’s eschatology is best understood as retroactive ontology where the future determines and defines the past and present. It’s helpful to think about this in terms of storytelling, so consider The Lord of the Rings. Would the meaning of everything that happened throughout the story been the same if, say, Frodo and Sam failed, Sauron retrieved the ring, and the story concluded with him enslaving Middle Earth? Of course not! The same applies to history. What determines and defines the meaning of historical events is the way they relate to each other in the totality of history, which does not yet exist; the future is still open. Since history is incomplete, though moving toward completion, and since history is revelation, God’s self-revelation is incomplete; God will only be all-in-all at the climax and closure of history, the eschaton. This future, according to Pannenberg, has irrupted into the present with the resurrection of Jesus, which serves as a prolepsis of the future Kingdom of God. This retroactive ontology has implications for individual identity as well. Pannenberg was also an outspoken proponent of theology being a public science. 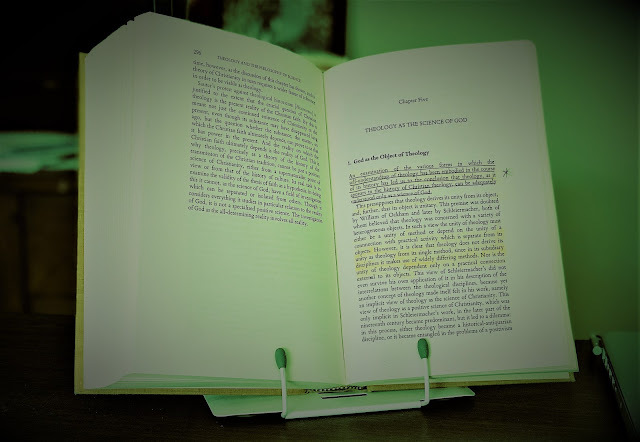 Theology was not a special discipline that could be sheltered from the criticisms of the other natural and human sciences. Since fallible humans perform theology, like the in rest of the academic disciplines, theology is fallible as well and subject to criticism. Theology does not get to sit safe and cozy in its own academic ghetto away from the rest of the world. Just because theology is done primarily by the church for the church does not shelter it from criticism. Since theology is a genuine science it is subject to criticism by the other academic disciplines, and it is also subject to criticize the other academic disciplines. 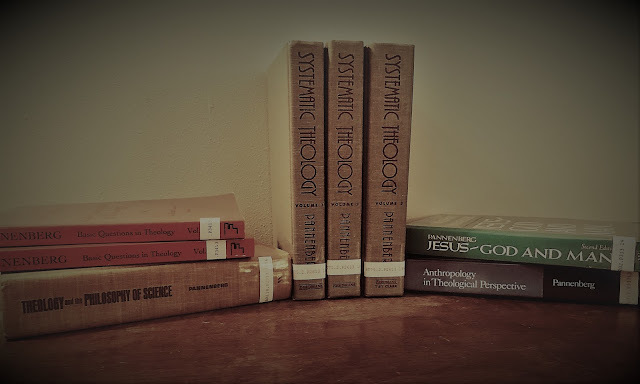 Theology is a genuinely public discipline, and theologians therefore should undergo the theological task with as much rigor as a theoretical physicist does her discipline. This is Pannenberg is a nutshell! I hope this introduction to him and his theology will prove helpful to those who are starting to take interest in him and his theology. Reading Pannenberg is difficult and strenuous at times, but the payoff that his works offer is worth it! What's the best text to start with if you want to get into Pannenberg? Hopefully something manageable, like a signature essay or two or a shorter book. I can neither confirm nor deny that there's a whole other post on Pannenberg coming soon which will, let us say, focus on reading suggestions. Travis’s recommendation is a good one. Personally, I point people to his book Theology and the Kingdom of God.